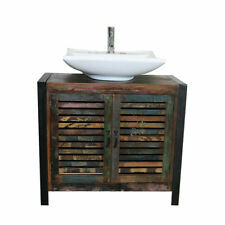 Bismat BIS vanity unit wood panel for lightweight Staen der wall 0351077. Manufacturer Part Number 0351077. Version Vanity Element. Material Wood. We sure can find Ein satisfactory solution for you e.
BEST FOR PRACTICING AND LEARNING BAGPIPES. Furniture in contemporary design with functionality. Including an comprehensive construction guide. Assembly required. Box Contains 1 x Bathroom Furniture Cabinet Xpress Ash Grey and White. • Contemporary Furniture for your Bathroom. The Elkay Hardwood Cutting Board is comprised of 100% maple and is designed to fit over your sink for easy food preparation. This cutting board is made in the USA. A cutaway allows water drainage, and easy removal from the sink for storage or cleanup. The DECOLAV Gavin 23 in. Its curved front doors and satin nickel hardware lend style and beauty to your bathroom and help add to its overall appeal. Solid birch wood construction for long-lasting use 23 in. DECOLAV's Casaya 23 in. W x 16.5 in. D x 17.5 in. All pieces have solid surface countertop and satin nickel hardware. All doors are left and right adjustable. Right Drawer Cabinet of the Casaya 5605 modular series Drawer has soft closing system Solid surface countertop Drawers have dovetail joint construction Satin nickel hardware Fully assembled. DECOLAV's Casaya 23 in. Wx 16.5 in. D x 17.5 in. All pieces have solid surface countertop and satin nickel hardware. All doors are left and right adjustable. Left drawer cabinet of the Casaya 5605 modular series Drawer has soft closing system Solid surface countertop Drawers have dovetail joint construction Satin nickel hardware Fully assembled. W x 21 in. D x 6.75 in. H Single Drawer Console requires side mounts to vanity body and or supporting leg. Wall cleats are added for support. Satin nickel hardware adds a class and elegance to this piece.